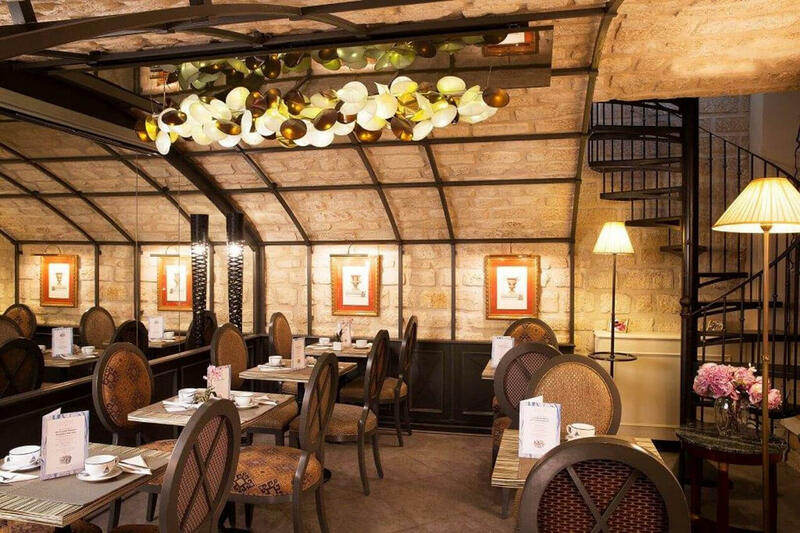 Breakfast at the Grands Hommes is served in an elegant room with stone-vaulted ceilings (6.30-10.30am weekdays, 7.30-11.30am weekends). 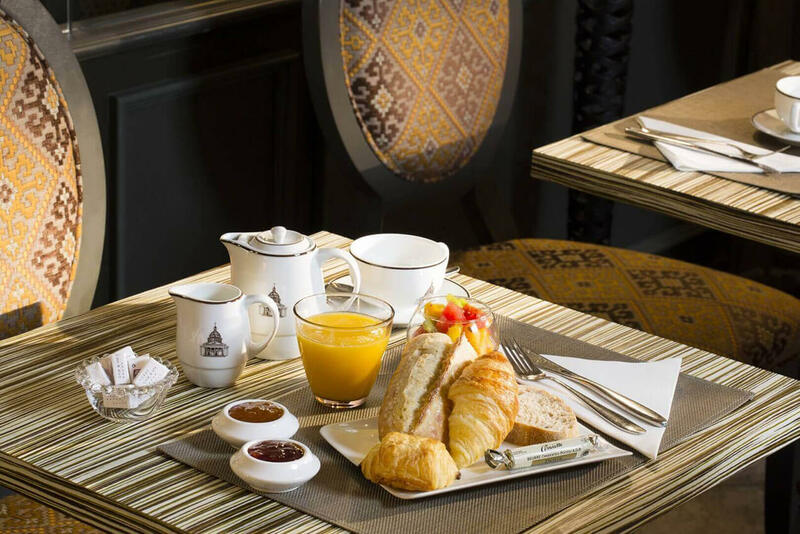 The Classic breakfast offers a hot drink and fruit juice of course, but also buttery pastries by Lenôtre, a seasonal fresh fruit salad made in-house and a choice of honey or artisanal jams, served with a crunchy, traditional baguette and country-style bread. 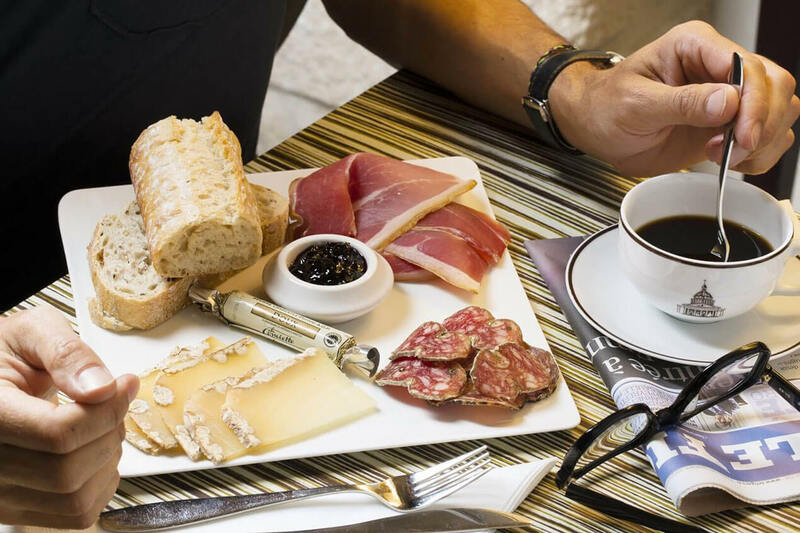 If you prefer something savoury in the morning, there are omelettes or organic hard-boiled eggs with buttered soldiers, or a tasty plate of produce from the southwest of France, including cheeses, ham and sausage, freshly sliced. 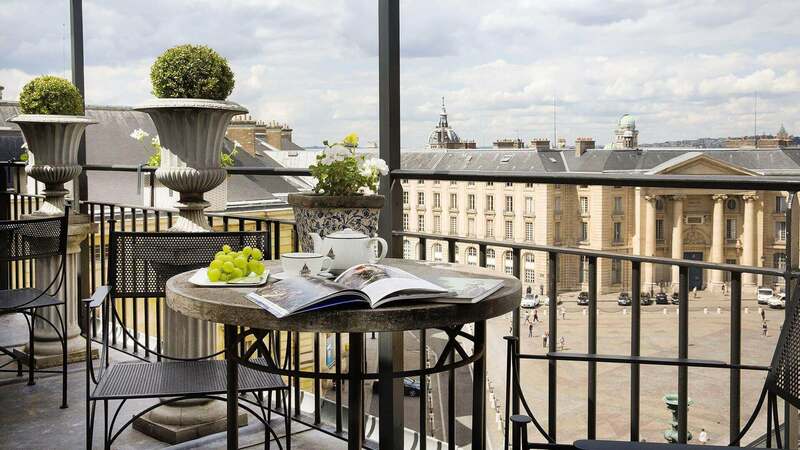 And finally, for a healthy balanced start to the day, the Energy Selection has yoghurt made with full fat farmhouse milk, muesli from the English Grocer in Paris, fresh fruit and honey. We know how to mix freshness and quality with choice and tastiness!